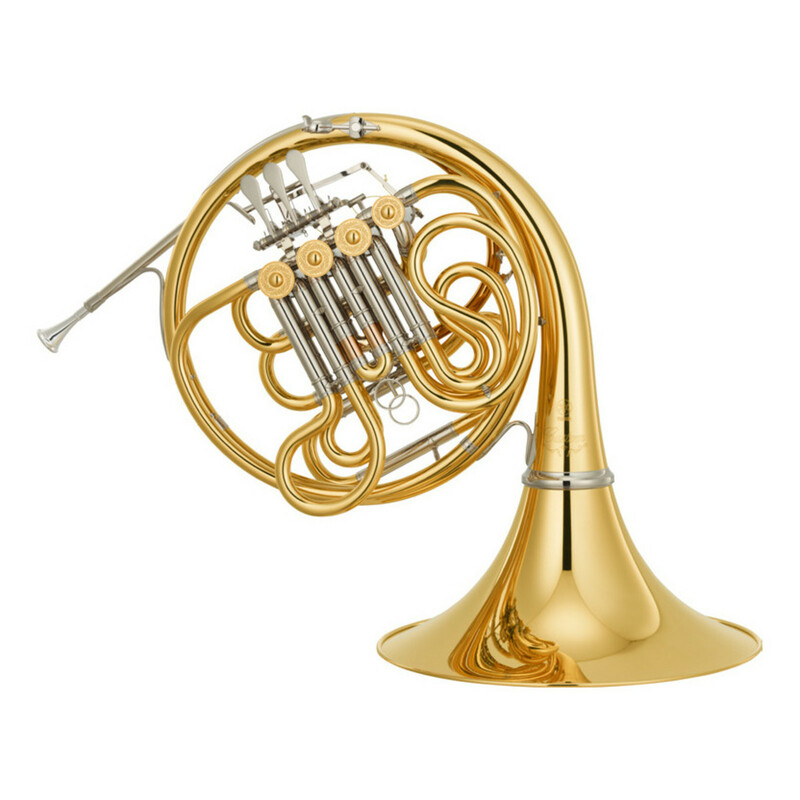 The new Yamaha YHR-671 French Horn features a variety of exciting design changes for the advancing student or professional horn player. The Geyer wrap style is ideal for producing bright, clear notes with high frequency clarity. Through the Yamaha ideology of vertical integration, this professional model offers many of the same high end updates and innovations as the new Custom YHR-871D. It also comes with a protective case. Yamaha have designed the YHR671D around a developed tone and easy playability. An example of this includes the Bb 2nd valve slide, which benefits from a long pull ring for convenient use. 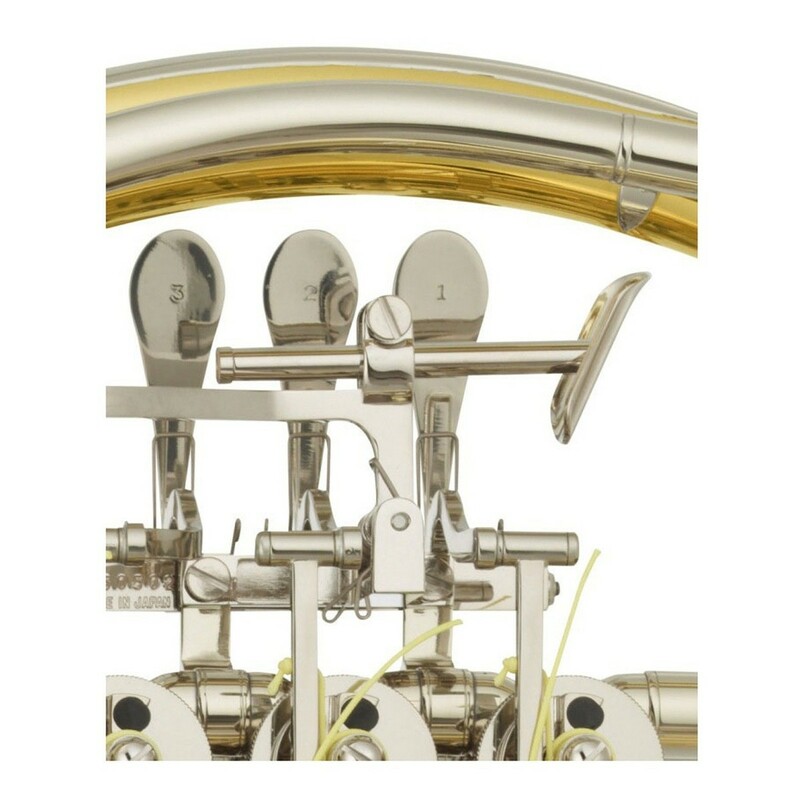 The fourth rotor thumb lever can be manually adjusted to each player’s preference for a more comfortable playing position. These are just some of the ways where the YHR671D proves it is a sophisticated instrument for the modern musician. The recognisable tone of the YHR671D is derived from quality craftsmanship and uncompromising materials. The Geyer style wrap has a rim wire that’s thicker than the standard, which produces a deep and resonant tone with a range of overtones. The medium sized bell projects the sound with clarity and a loud voicing. The wire has a leadpipe design, making it completely smooth for a consistent pronunciation. Yamaha are widely renowned for their exceptional quality control. The YHR671D continues this quality. 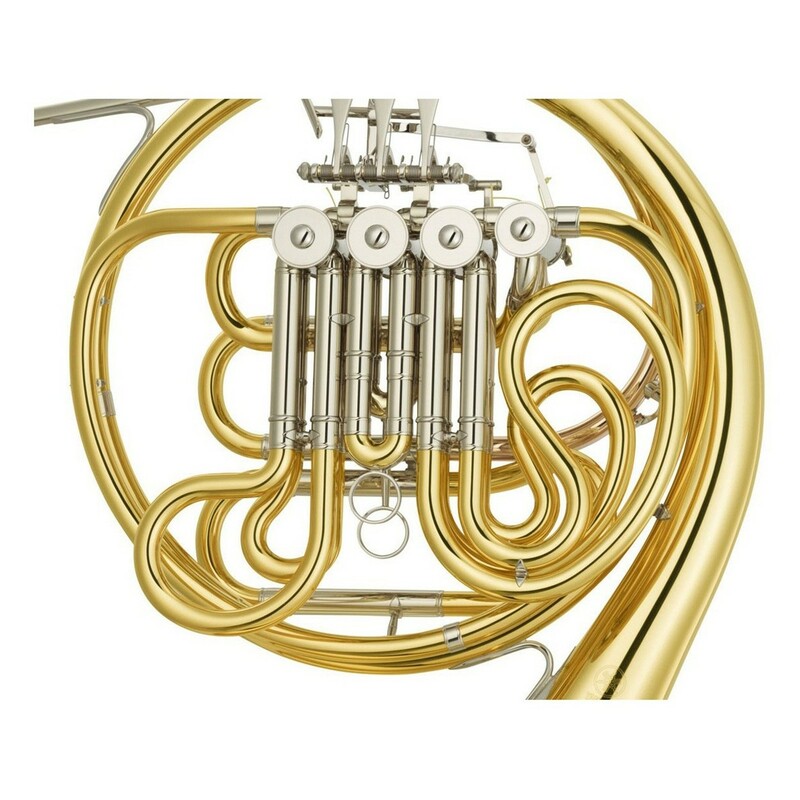 The yellow brass body and Nickel alloy castings not only have a high quality sound, but are also robust enough to last constant use for years to come. The joints between all components are built to fix with precision, so your horn is always producing the cleanest sound possible. The buttons are fixed with stable hinges that retain their dependability over time, making your performance as expressive as your technique. Instruments should inspire each performer to play at their best. The YHR671D’s stunning finish displays glistening brass for a long lasting polished look. The embossed Yamaha logo adds a smart, subtle decorative. 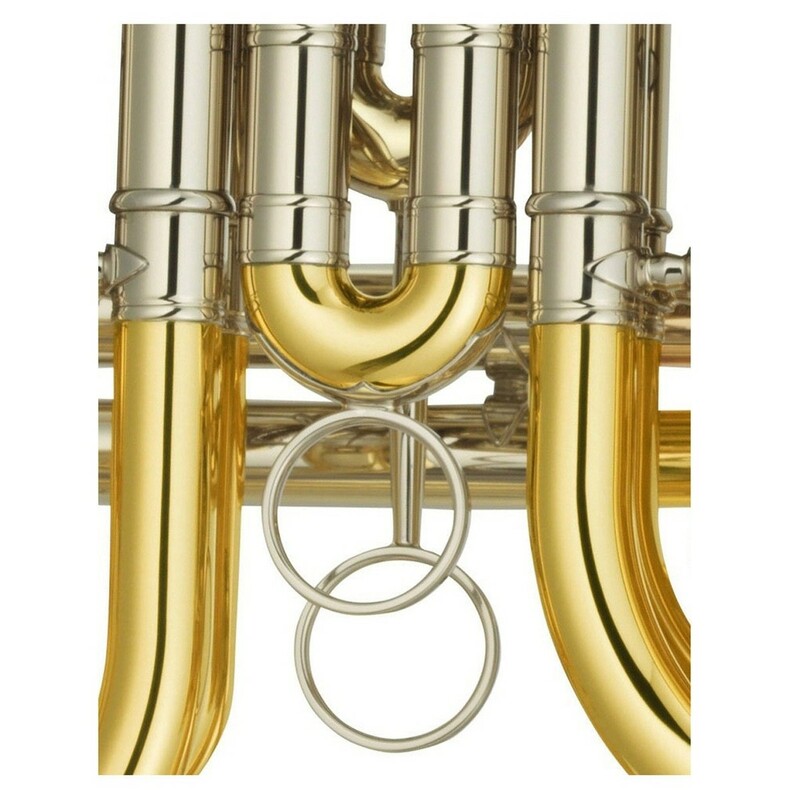 The shape combines traditional horn design with a modern, updated look that’s ideal for musicians in small and large orchestral bands.